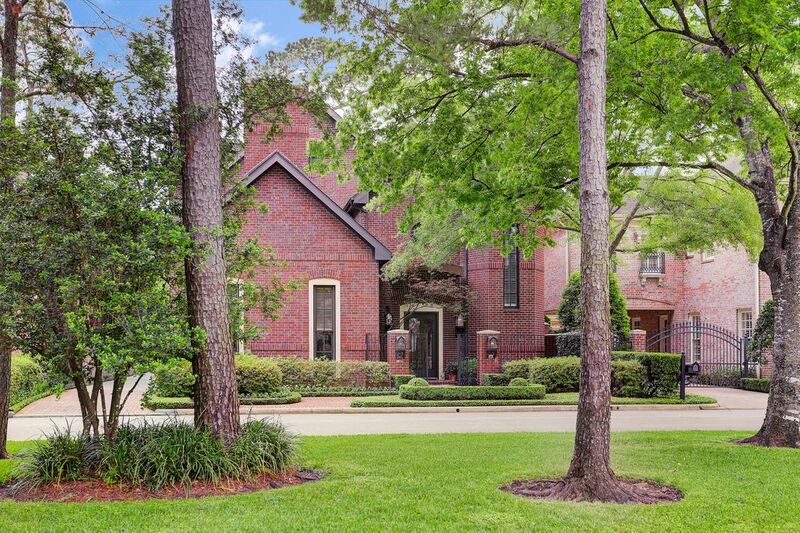 5123 Holly Terrace, Houston, TX 77056 | Martha Turner Sotheby's International Realty, Inc. 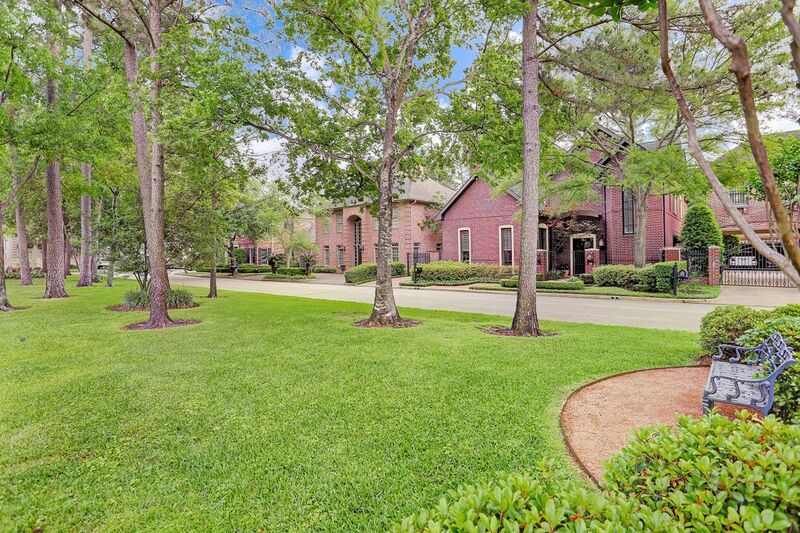 This custom built home of exceptional quality is located in Holly Springs Circle, a gated community with 25 residences, in a prestigious Tanglewood location near the Galleria and Loop 610. 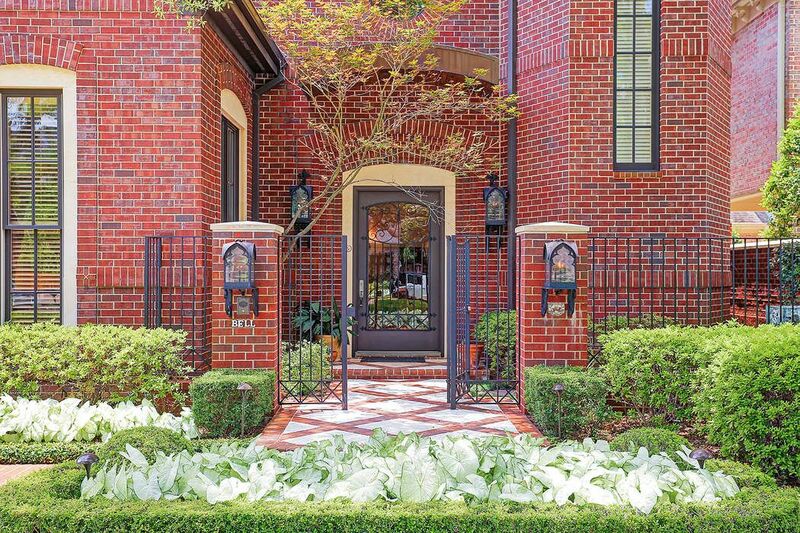 Nestled in an idyllic park-like setting, this spectacular home is finished to the highest standards and exudes elegance. Epitomizing flawless design, this custom beauty is a rare combination of architectural purity and exquisite detail. Beautiful esplanade offers lovely park-like setting for an afternoon stroll or sitting on a park bench. 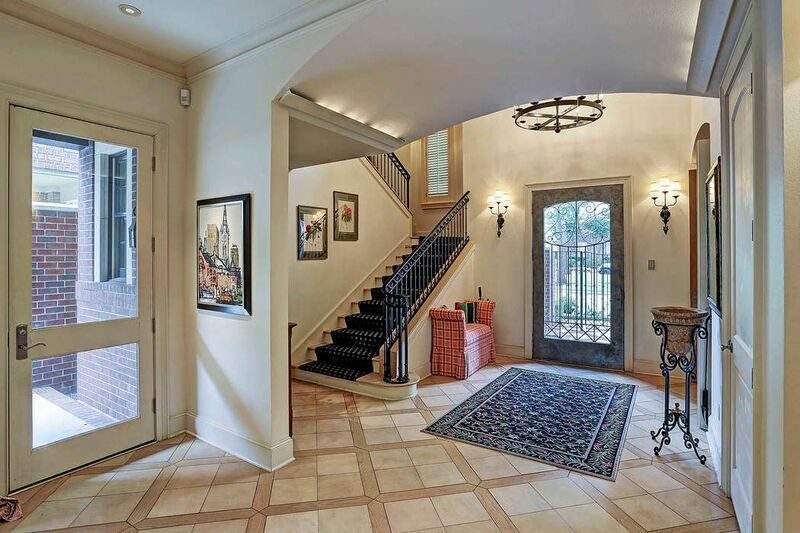 The stunning entry expands the length of the main level and is empowered by a double-height ceiling, custom sconces and a gorgeous staircase. The double doors lead to the study/den. Empowered by a handsome beamed ceiling, the living room's appeal is heightened by a fireplace, furniture-quality lighted built-ins and overall attention to detail. Double doors provide a seamless transition to the study. A sympathetic embrace of comfortable living takes place as the living room unites perfectly with the kitchen for ease of entertaining. Sun-lit windows flank the handsome fireplace that serves as the focal point of the room. 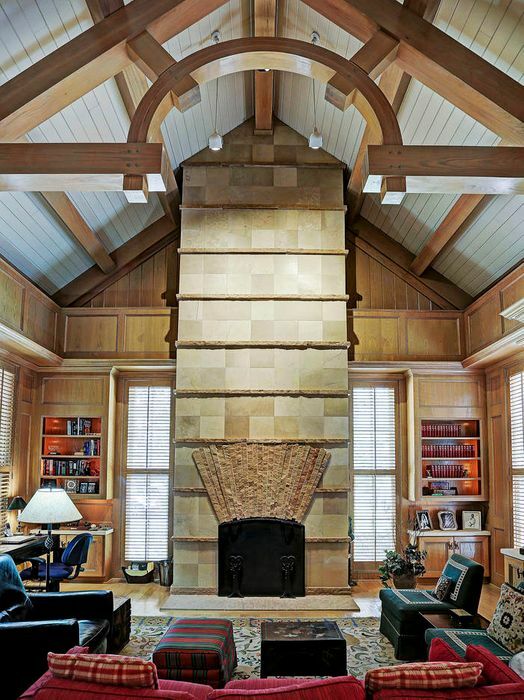 The breathtaking study boasts a soaring ceiling adorned by massive intricately designed beams punctuated by an Aspen-inspired fireplace . 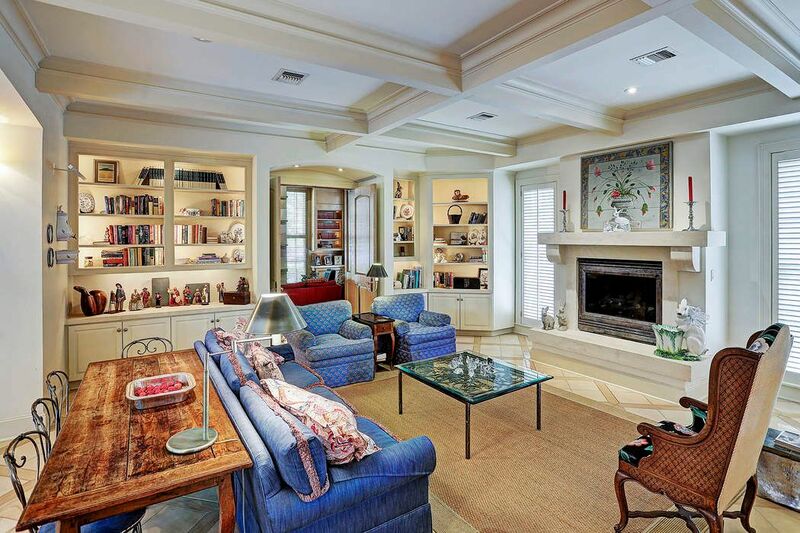 Rich block paneled walls exude warmth as the elaborately crafted bookcases and hardwood ceiling engulf the room. Cook's kitchen is replete with hardwood floors, marble counter tops, decorative tile backsplash, enormous butcher block central island, high-end appliances and glass fronted cabinetry. Ease of entertaining is afforded by the fully equipped wet bar. 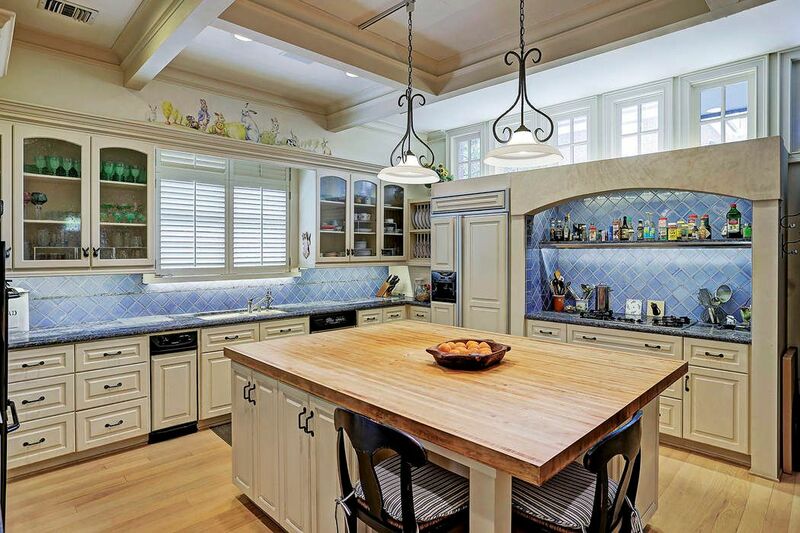 The kitchen serves as a central gathering and entertaining space. 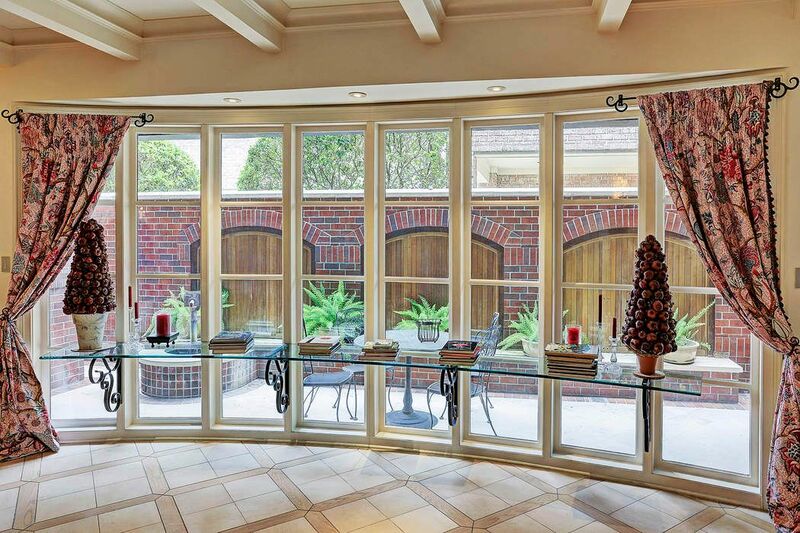 Clerestory windows create additional light. The back staircase and elevator are adjacent to this area. A green thumb is welcome as there is a green house located close to the kitchen. 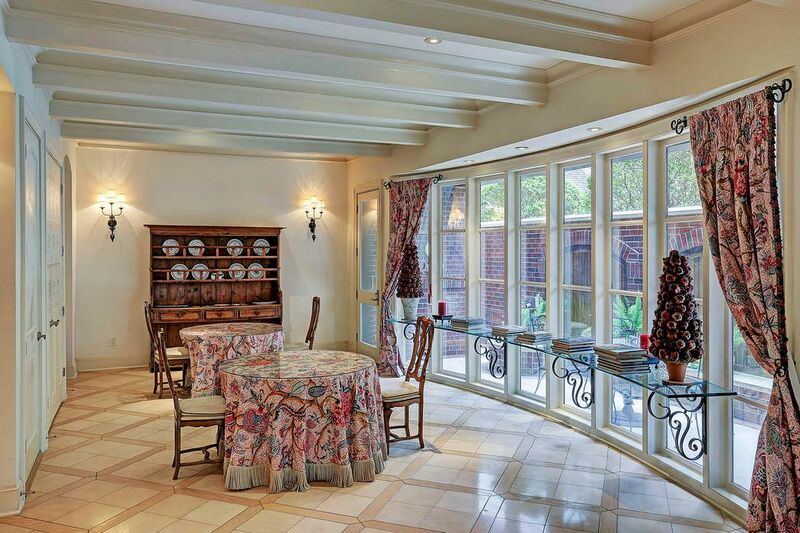 Banks of windows allow endless natural light to flood this inviting dining space. The millwork is extraordinary and a custom built-in china closet ready to assist in all of your entertaining needs, completes the room. Compelling view of the patio where triple hardwood encased arches grace the wall that is the focal point of this charming outdoor area. 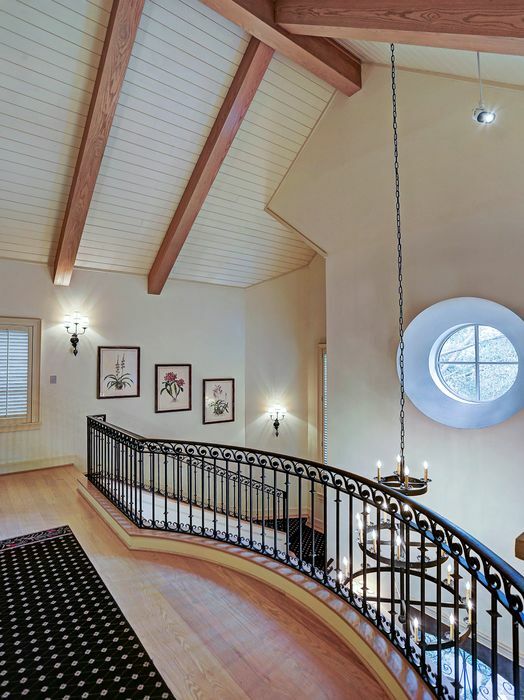 Clerestory window showcases the magnitude of uncompromising quality that sets this home apart; hardwood ceiling graced by pine beams, three-tiered custom chandelier, remarkable wrought-iron balustrade and custom sconces. 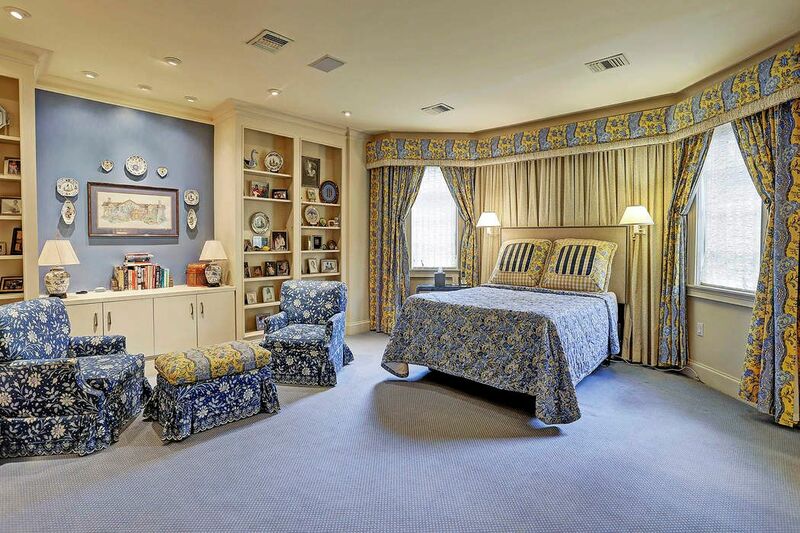 Elegant yet warm master bedroom resplendent in quality and detail boasting beautiful millwork and built-in bookcases. Luxurious master bath features marble-bordered Jacuzzi tub, blue marble counter tops, seamless shower doors with double shower heads, boutique style mirrored wall, make-up vanity, countless built-in drawers and dual custom-fitted walk-in closets. This is on of the three ensuite bedrooms. 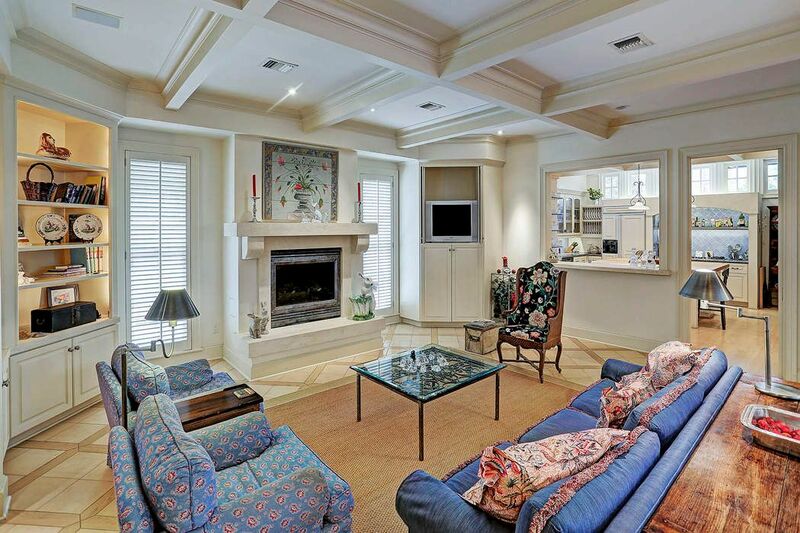 It boasts crown molding, plantation shutters and recessed lighting. 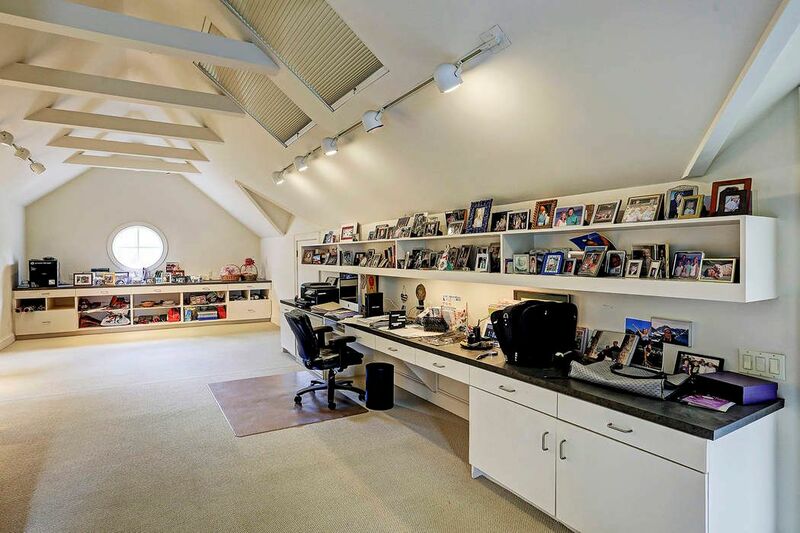 Third floor game room/office/5th bedroom with great shelving for organization. Located on this floor is a fantastic private balcony/porch. An impressive mechanical room is accessible along with multiple storage closets and the elevator. The wooded vista of the esplanade is the focal point of the street which faces the security gate for privacy. 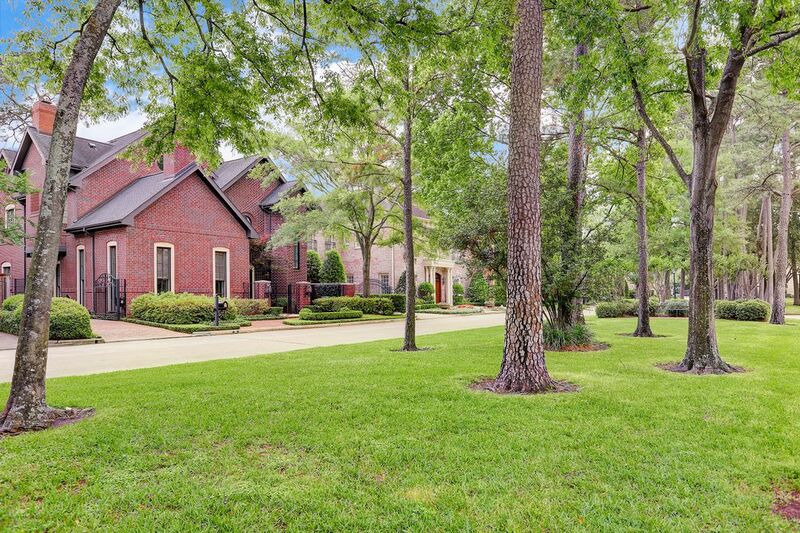 $1,395,000 4 Bedrooms5 Full / 1 Partial Baths5,982 sq. ft.
Nestled in an idyllic park-like setting, this spectacular home is finished to the highest standards and exudes understated elegance. Epitomizing flawless design, this custom beauty is a perfect combination of architectural purity and exquisite detail. Positioned behind security gates, one is greeted by a lush green space, a rare find today. A diagonal brick paver walk way in concert with the diagonal pattern flooring in the entry, serves as an indication of the quality throughout. 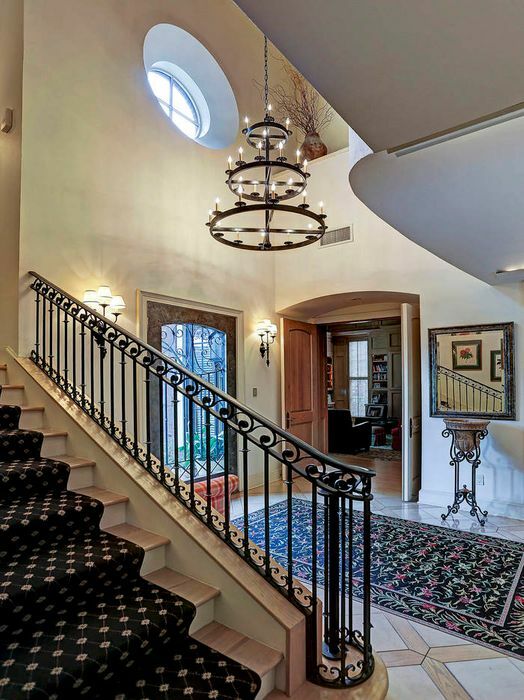 The entry expands the length of the main level and is empowered by a double-height ceiling and exquisite chandelier. The breathtaking den/study boasts a soaring ceiling adorned by massive intricately designed beams punctuated by an unequaled Aspen- inspired fireplace. Rich block paneled walls exude warmth as the elaborately crafted bookcases and hardwood ceiling engulf the room. Stylish and full of light the living room masterfully flows to the kitchen and gallery/dining room providing perfect interconnection for ease of entertaining. 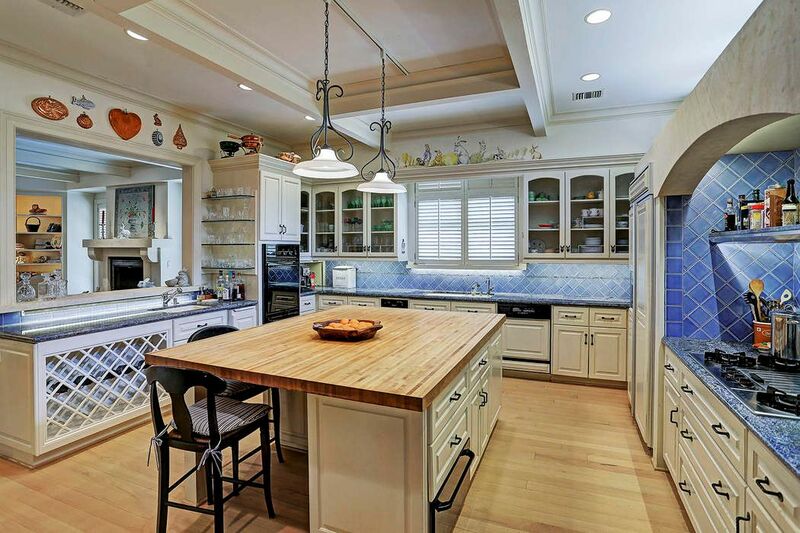 The cook's kitchen is replete with hardwood floors, marble countertops, decorative tile backsplash, enormous butcher block island and high-end appliances. A green thumb is welcome as there is a greenhouse conveniently located close by. An elevator, secondary staircase and rear parking court also accompany this area. The light-filled dining room has banks of windows showcasing a picturesque view of the patio that is marked by triple hardwood encased arches. The warm master bedroom is resplendent in beautiful millwork and built-in bookcases. The bath is accentuated by blue marble, shower, Jacuzzi tub, dual custom-fitted closets and boutique-style mirrored wall. 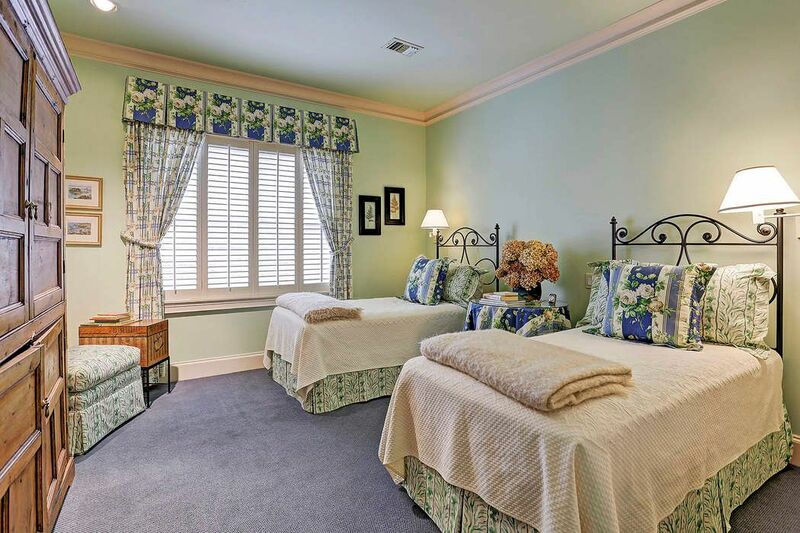 There are three well-appointed en suite bedrooms each with custom decorative tile. The third floor seamlessly integrates a private balcony/porch and spacious office/5th bedroom with adjoining bath. 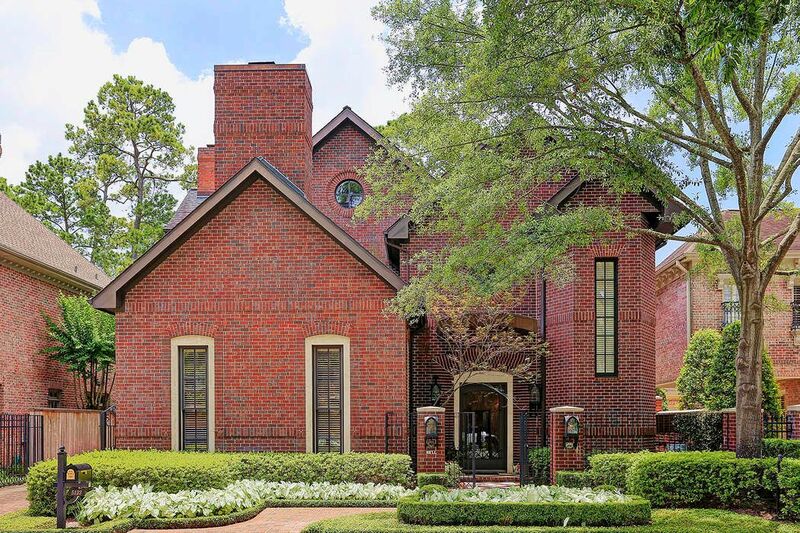 Sophistication and remarkable attention to detail are the hallmark of this magnificent home.